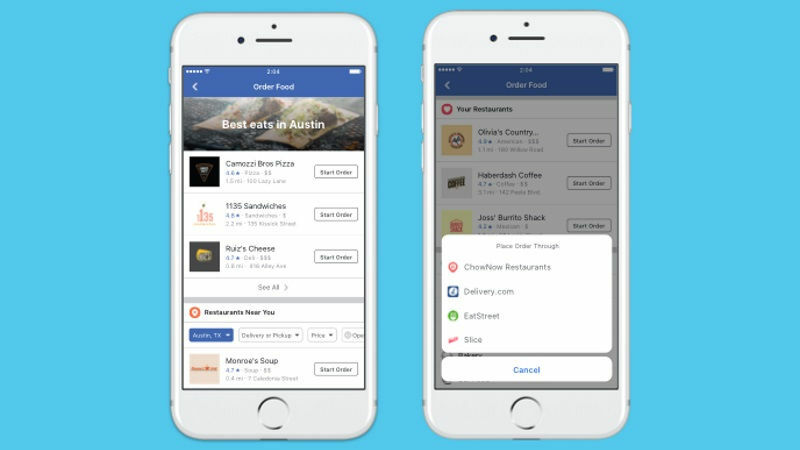 The Facebook on Friday announced a new feature to make it easier for users to order meals from nearby restaurants and service providers without leaving the social network. A new “order food” feature rolled out for US users lets Facebook users order delivery or takeout from restaurant chains such as Papa John’s and Panera, and on-demand services including Delivery.com and DoorDash. “People already go to Facebook to figure out what to eat by reading about nearby restaurants, and seeing what their friends say about them. So, we’re making it even easier,” read a blog post by Facebook vice president Alex Himel. Facebook has been testing this feature since last year and is rolling out the service to users in the United States on its desktop, iOS, and Android applications, with new partners. The move expands Facebook’s ability to keep users on its platform, with services such as money-transfer, business services and ride-hailing available from its main application or messaging services.